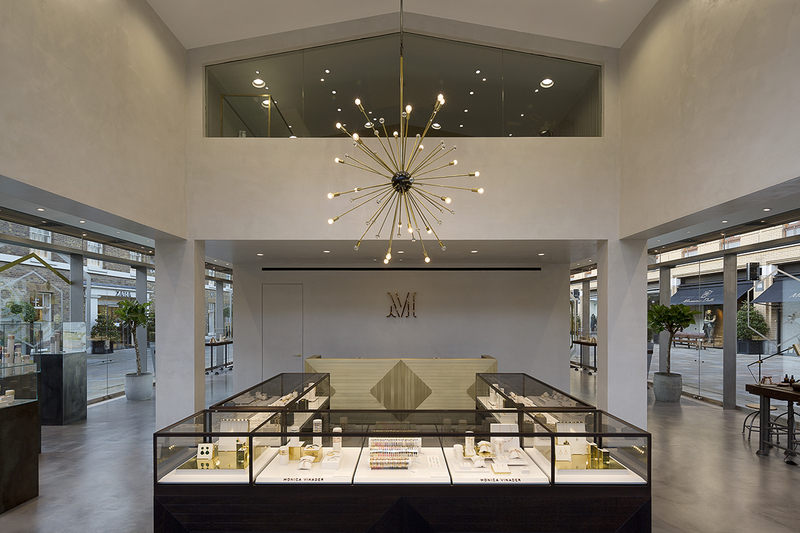 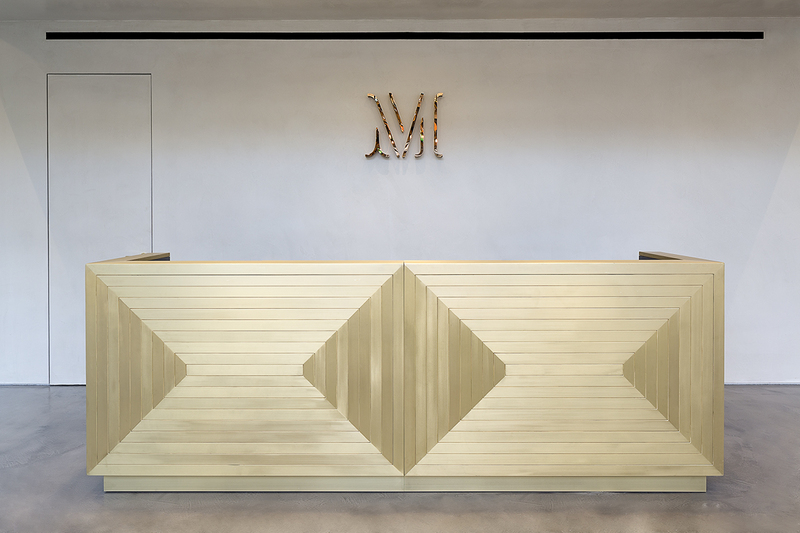 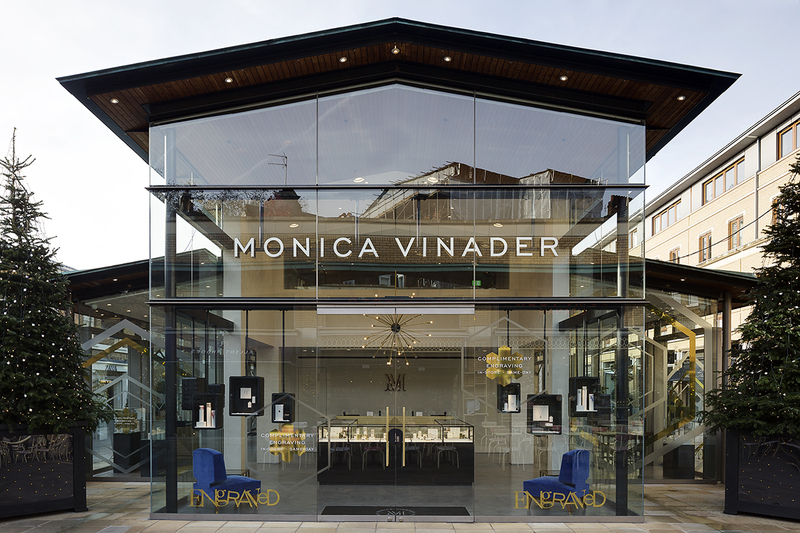 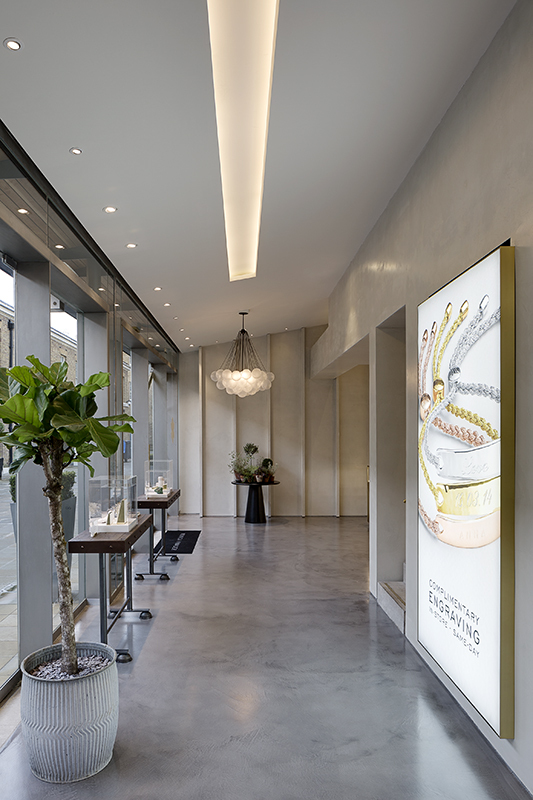 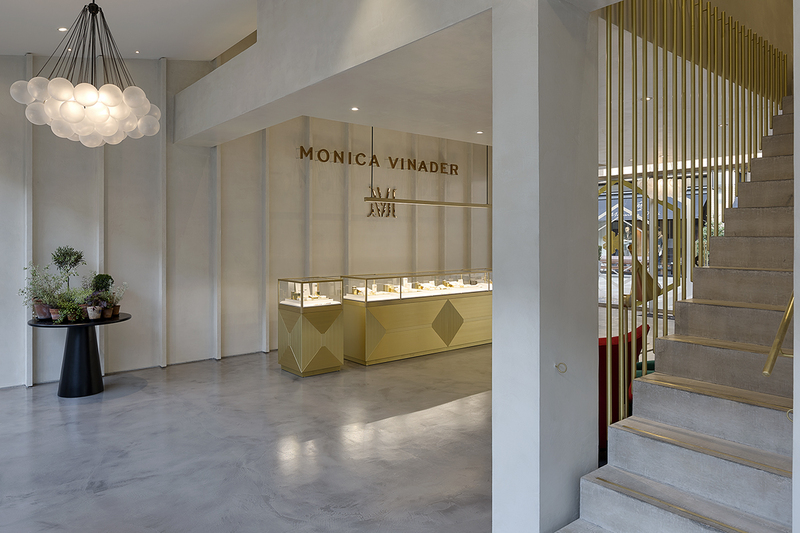 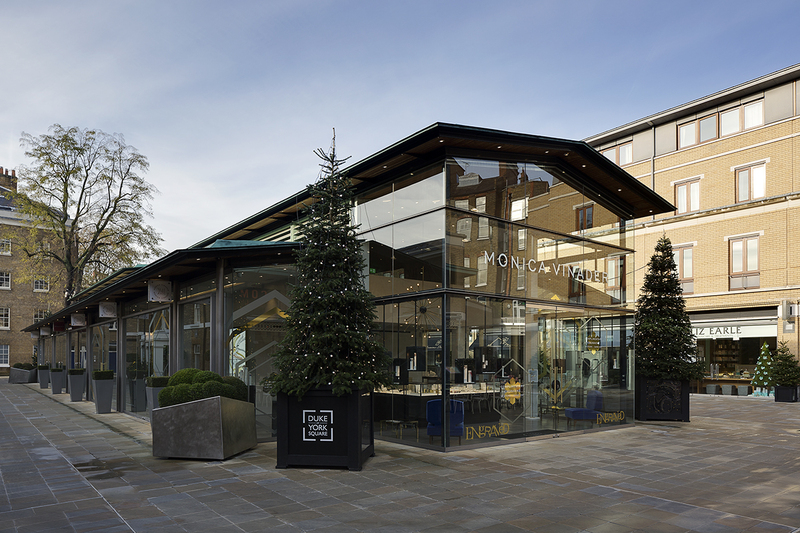 The flagship store for jewellery brand Monica Vinader is off the Kings Road in Chelsea, in Duke of York Square. 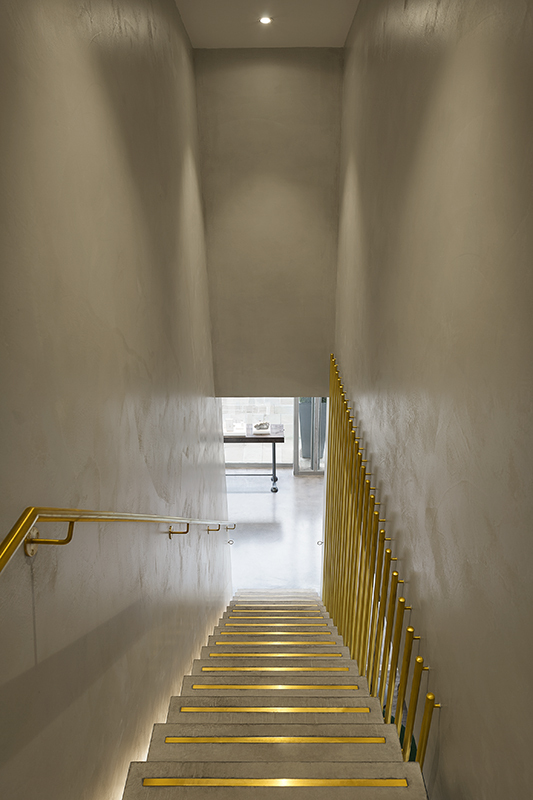 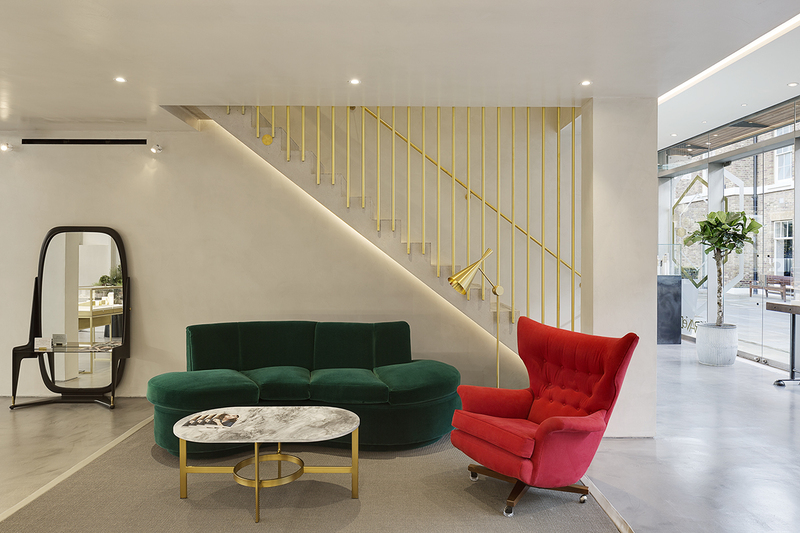 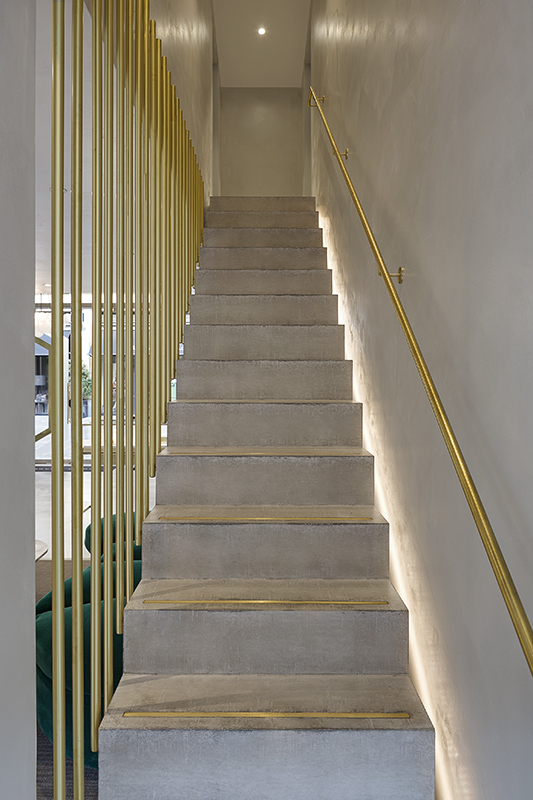 Subtle industrial textures of Microtop clad the walls and floor, and the store features a cast concrete staircase with brass detailing. 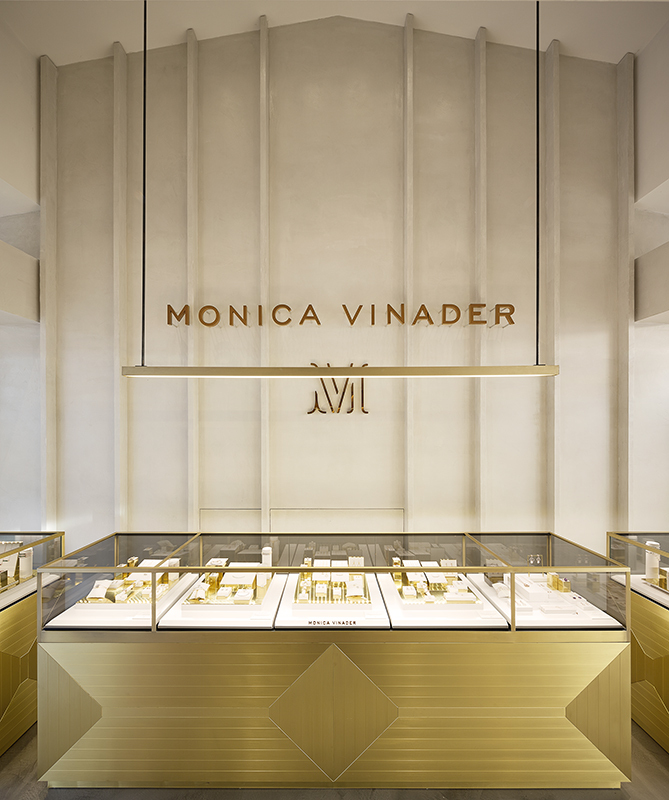 The sumptuous materials palette includes Monica’s signature rose-gold finish, with brushed brass and black steel metalwork and joinery in fumed eucalyptus pomelle veneer.